2006 has been the worst year in the history of Elis from Liechtenstein, as their singer Sabine Duenser passed away after suffering a cerebral haemorrhage at the early age of 29. She had already finished her vocal tracks and to make a tribute to her, Elis decided to continue making music and completing the fourth Elis record. Regarding the band situation, it's a bit macabre that the first line of the opener Tales From Heaven Or Hell starts with "My father died today". Compared to former Elis releases, Sabine Duenser has made an enormous progress. On most songs, the emphasis is laid on her vocals, and she did her job better than for instance Sabine Edelsbacher (Edenbridge) or Stefanie Luzie (Atargatis) who are also frontladies that are very popular in the gothic metal scene. Her vocals are often fairy-like and seem to float above the music. The variation of the arrangements impresses me the most. The combination of gothic music with clear pop-like vocals works fine. Even if the cliché of male grunts appears on two songs, this doesn't disturb at all. The introduction of classical arrangements in the form of strings, harps and choirs is another strong argument which distinguishes Elis from similar bands. The album contains melodic tracks with nice tunes, some epic tracks which show some parallels to Nightwish and three sadder songs with piano which are ok under the circumstances. There are even two weird, slightly aggressive tracks which are not typical for this genre. 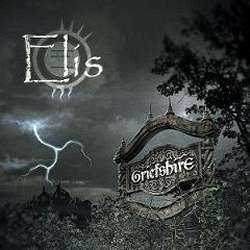 But in general, Griefshire is a heavier album than Dark Clouds In A Perfect Sky which Elis released before. Elis would have been ready to make the breakthrough on the international metal scene, but unfortunately they were struck by fate in the hardest possible way. Elis will continue making music and are looking for a new singer. Replacing Sabine Duenser will maybe be an impossibly hard task, but let's hope for them that a new start will be possible.